Civil Protection Orders (CPOs) have some legal words that you might not be familiar with. This CPO Glossary is designed to help you understand some of the legal terms and concepts that come up in CPO cases. This Glossary is NOT legal advice. If you have questions about getting or defending against a CPO, you should consult with an attorney. The Court, the Clerk, and the court staff cannot give you legal advice. Petition: A written document filed with the Clerk of Courts asking the court to issue an order. In a CPO case, the Clerk has a standard form that can be filled out by hand to start the case. A petition must be submitted under oath. Civil Protection Order (CPO): A court order telling a Respondent to stay away from and have no contact with the Petitioner. A CPO may last for up to five years. Violation of a CPO is a criminal offense that could be punished with jail time. Petitioner: The Petitioner is a person who starts a case in court. If you are seeking a CPO, you are the Petitioner. Protected party: A family member or other person living with a Petitioner. A Petitioner is allowed to seek a CPO for protection of themselves and people living with them. Respondent: The person subject to the CPO. If someone is seeking a CPO against you, you are the Respondent. If granted, a CPO would prevent the Respondent from having contact with the Petitioner and other protected parties. A Respondent may appear in court, and defend the case brought against them. Service: The legal delivery of a court document to an individual, giving them official notice of an order against them and/or notice of a court hearing date. A CPO is legally effective when it is served on a Respondent. A Petitioner must supply a current address for Respondent to the Clerk so service can be made. Ex parte hearing: The first appearance in court in a CPO case. The Petitioner is allowed to present the reasons for the Court to issue an immediate CPO. Ex parte means only one side of the case, the Petitioner, is present in court. An ex parte hearing is held the same day or the next court day after a petition is filed. Ex parte order: A short-term CPO issued by the Court after an ex parte hearing, ordering the Respondent to have no contact with the Petitioner. An ex parte CPO lasts for 30 days, or until it is changed by the Court. Magistrate: An attorney employed full time by the court to hear certain cases and make decisions. A Magistrate is similar to a Judge, and should be addressed as “Your Honor.” Magistrates frequently hear CPO cases. Evidence: Factual information that can be legally considered by a court in making a decision in a hearing. Evidence can be testimony under oath (what someone says on the witness stand), or exhibits (documents, written materials, pictures, print outs, etc.). Certain types of information like hearsay (gossip, what someone not a witness told someone else), or irrelevant items (details not important to the case) cannot be considered as evidence. A police report is generally not proper evidence. The Judge or Magistrate presiding over the hearing makes the legal decision on what is proper evidence and what is not. Subpoena: A court order telling someone they must come to a hearing to testify. Petitioners and Respondents are both allowed to request that the Clerk issue a subpoena to require a witnesses’ appearance in court. A party requesting a subpoena must give the Clerk’s office a full name and address of the witness. Civil action: A legal case between two or more private parties. A CPO is a civil action, and the Prosecuting Attorney and Public Defender do not represent the parties. Parties in a civil action may hire attorneys at their own expense. 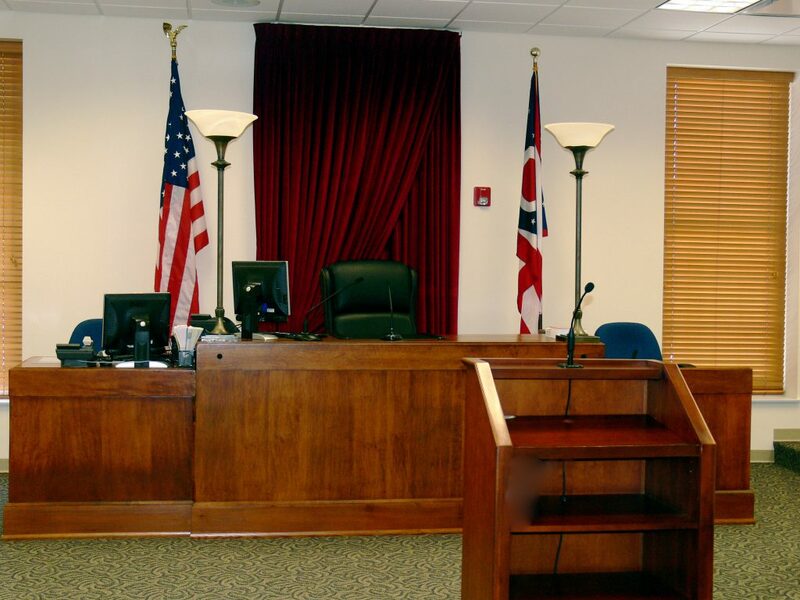 The Court applies the Ohio Rules of Civil Procedure and Ohio law to decide the case. A CPO is not a criminal case where someone is punished for certain illegal actions. Later violation of a CPO by a Respondent can be a criminal case. Preponderance of the evidence: The requirement that a party prove in court through the evidence presented that their version of events is more likely than not to be what actually happened. Petitioners need to prove a CPO case by a preponderance of the evidence, and show the legal need for a CPO. Victim Assistance: A county office that may be able to provide help to people seeking a CPO in the court system, usually victims of domestic abuse. The representatives of the Victims Assistance Office are not attorneys, and cannot represent people in court hearings. They can explain the proceedings and answer some questions about the process. The Victim Assistance Office phone number is 513-732-7979.